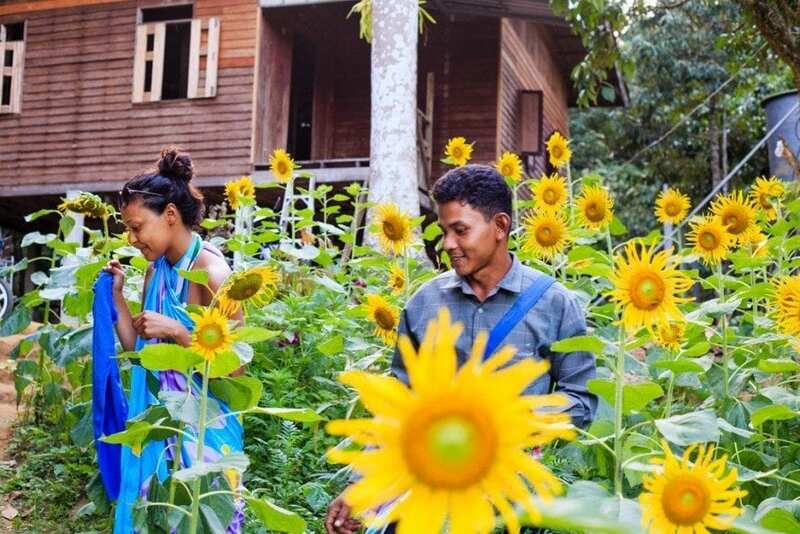 Experience Thailand culture at it’s finest with these four activities. On the Village Visit, you can get to know the locals in Khao Sok and learn more about their way of life. 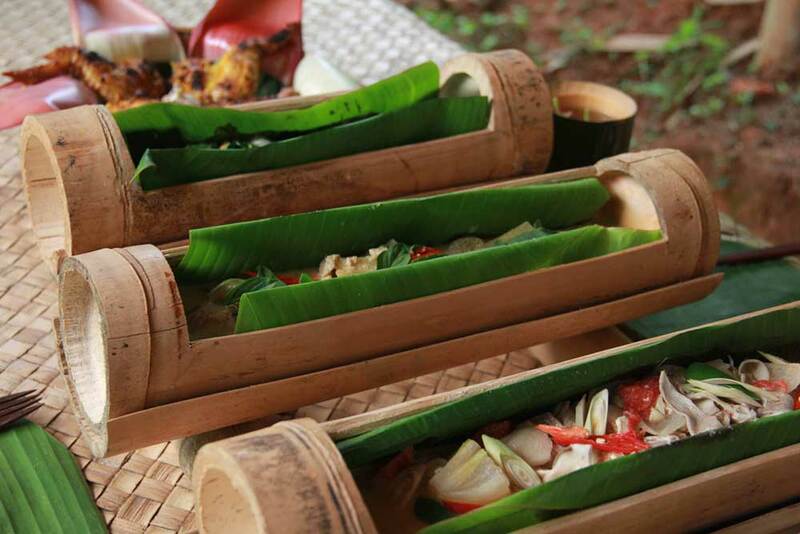 Are you a big fan of Thai cuisine? 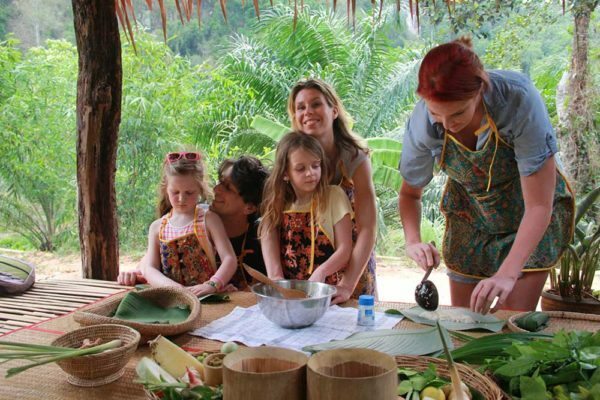 If so, you can opt for a Thai Jungle-Cooking class with a local family. 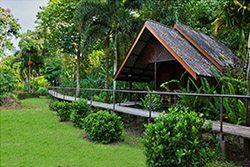 Alternately, you can pamper yourself with a traditional Thai massage or a visit to the nearby Hot Springs. Make your dreams come true when you book a room or tour package. 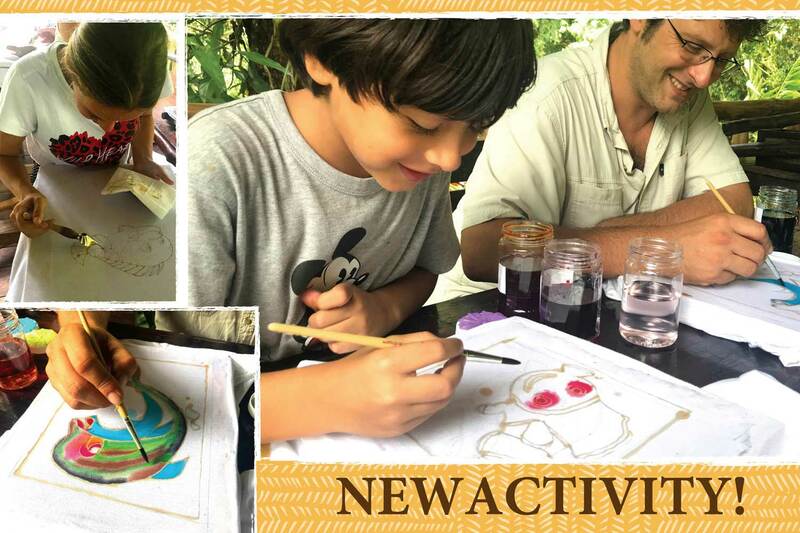 Enjoy making crafts by the river. 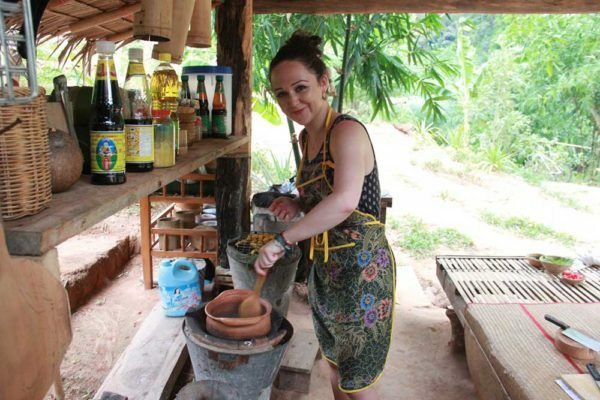 Batik art is popular in Thailand culture, and is fun for adults and children. You will get to create your own colorful t-shirt or wall hanging – the perfect souvenir. The process starts by creating a design, drawing it with wax, and then coloring it in. Don’t worry, our staff will help you, and even have ready-made designs to choose from. Tip: Learn more, and see great photos of this activity on our Jungle Cooking in Khao Sok blog. Thai Massage is considered among the best in the world, and is an integral part of Thailand culture. 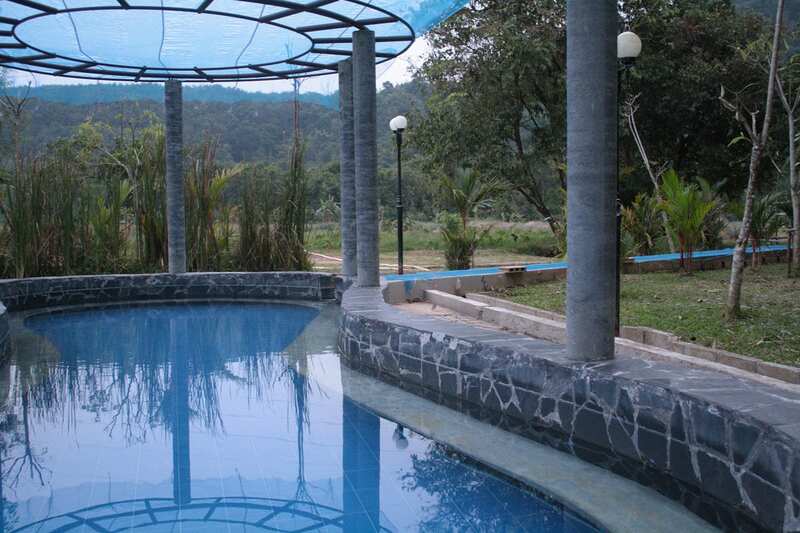 It is a soothing way to unwind in the jungle. Our trained masseuses offer traditional Thai style massage, or a more relaxing oil massage. We have a beautiful wooden massage room by the river. Tip: We recommend traditional Thai-style massage – it improves circulation. 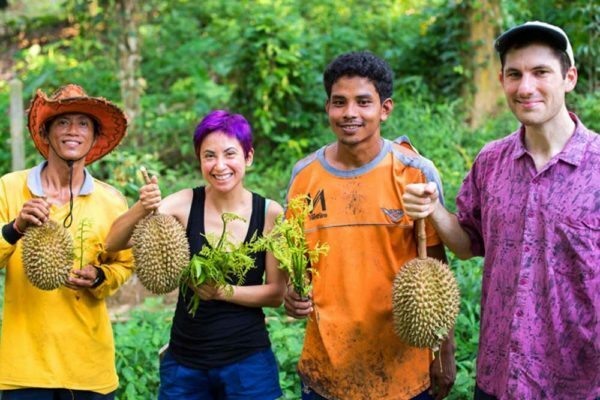 Very few visitors actually get to experience local culture. 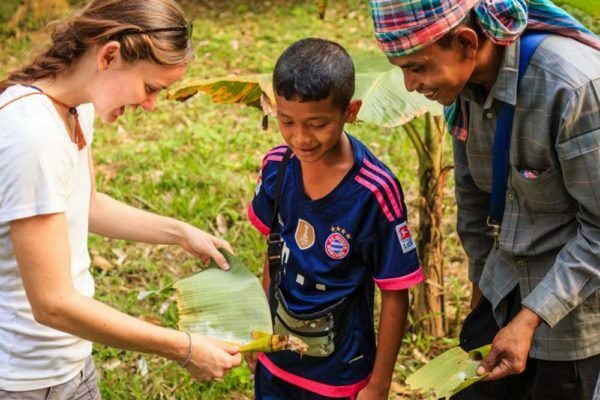 Working with the community of Khao Pang, we offer customized in-village programs. 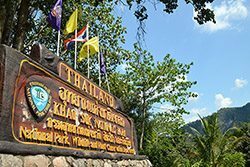 Your local guide will take you on a walking tour to explore the temple, fruit orchards, and scenic hanging bridge. 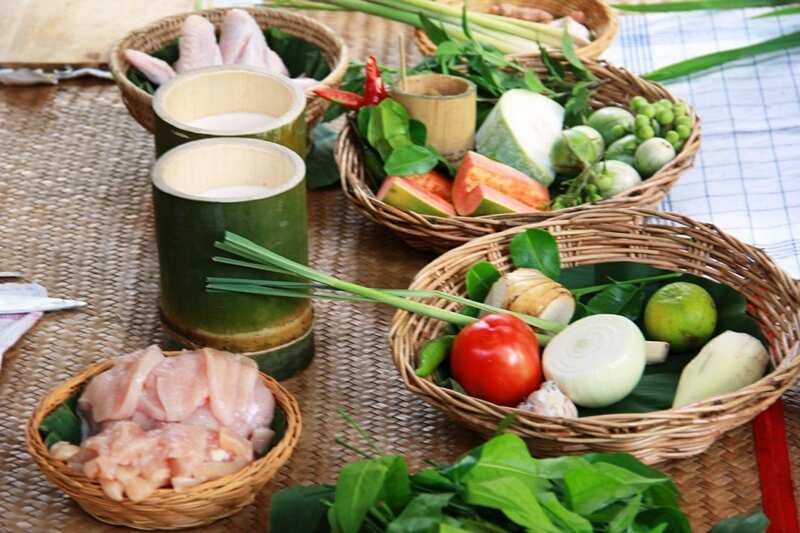 Join your host family to make a traditional Thai meal, with ingredients picked fresh from the garden. To extend the visit, you can do a homestay with your hosts. Tip: this is a non-touristic, beautiful way to experience Thailand culture!